After a brief interlude in which we discussed some key arguments from the philosophy of mind, I can now return to my odyssey through Nicholas Agar’s book Humanity’s End . I left off having reached the end of chapter 6. Up to now, the book has been an interesting, if not always coherent, collection of arguments. In this post, I turn my attention to chapter 8. In it Agar discusses the views of the sociologist James Hughes . Hughes’s work attempts to address head-on the concerns some have about the social implications of radical human enhancement. But hang on a minute, amn’t I forgetting something? What, I hear you ask, happened to chapter 7? Well, faithful reader, I regret to inform you that chapter 7 was somewhat of a disappointment. It discussed the views of the philosopher Nick Bostrom but said relatively little of interest. Nevertheless, in the spirit of completeness, I will begin by offering an exceptionally brief summary of its contents. Bostrom’s back catalogue of papers is both vast and diverse so it was rather unsurprising to find Agar taking a fairly narrow perspective on it. He started by looking at Bostrom and Ord’s paper on the status quo bias in ethical reasoning. In this paper, Bostrom and Ord argue that many conservative critics of enhancement are guilty of harbouring an unreasonable loyalty to the existing state of humanity (the existing status quo). To ensure that their loyalty to the status quo is not unreasonable, those critics should be forced to undergo a reversal test. The terms of this test dictate that the critic should ask, if they think changing the value of a parameter such as human intelligence in one direction is bad, whether changing it in the other direction is also bad. If they answer yes, then they must think the current state of things is optimal. They need to provide some reason for thinking that. If they cannot, then they are guilty of the status quo bias. Agar didn’t really have much to say about this except that loyalty to the current state of affairs may also be due to the endowment effect -- which is an emotional attachment to the familiar -- and that this might not be unreasonable. Agar then turned to consider Bostrom’s claim that many critics of enhancement actually share the values that support enhancement. Bostrom justified this claim by making use of Lewis’s dispositional theory of desires. According to this theory, occurrent conscious desires are not the only desires that agents might be said to have -- counterfactually determined desires (“X would desire Y if...”) are also at play. Agar argued that the kinds of counterfactual considerations Bostrom was willing to apply when assessing the desires of the critics of enhancement made a mockery of the dispositional theory. Finally, Agar argued that Bostrom’s enthusiasm for radical enhancement may itself be the product of a focalism bias. This bias arises when we consider the future. Roughly, it seems to be true that the further and further into the future we project our plans and aspirations, the more and more contextual and complicating factors we seem to ignore. Thus, the idea is that Bostrom’s predictions about the wonders of our posthuman future may be due to his ignoring the contextual complications of enhancement. Moving on then to chapter 8, we need to start by appreciating the concern that critics have about the social implications of radical enhancement. Science fiction has many a rich dystopian vein that could be tapped at this point, but instead of doing that we’ll look to the views of Francis Fukuyama. Fukuyama is a political theorist who earned a certain level of notoriety in the early 1990s for his “end of history” thesis. His claim was that after the collapse of Soviet Union the political state had reached an evolutionary plateau of sorts: liberal captialist democracies founded on individual freedom and the rule of law had won the day and they could be expected to dominate for the foreseeable future. Why? Because such a system of government is a perfect fit with human nature. How does this perfect fit come about? Liberal states are founded on an assumption of moral equality. And that assumption is in turn founded on the assumption of rough empirical equality: although some people may be better than others along some dimensions, no group has a decisive advantage over another. That assumption turns out to be true. Hence the perfect fit. But now we come to the problem: Radical enhancement may destroy the delicate balance that has arisen between human nature and liberal political governance. Radically enhanced humans will have decisive advantages over the unenhanced, and they may be inclined to put (strictly metaphorical) saddles on their backs as a result. The moral assumptions of the liberal state will no longer be tenable. Enter the reassuring head of the posthuman cavalry: James Hughes. He argues that Fukuyama’s dystopian vision need not become a reality. All we have to do is change the dominant moral framework in contemporary societies. At present, the dominant moral framework is premised on the notion of human rights. Human beings, in virtue of their membership of the human species, are afforded certain moral and legal protections and entitlements. This is reflected in the human rights-oriented doctrines that pervade international and domestic laws. This, Hughes argues, needs to change. We need to replace the species-centric framework of human rights with a more inclusive framework premised on the notion of personhood. Under this framework, any being worthy of moral concern will warrant the label person and will thereby obtain all the rights and privileges currently reserved for humans. Now this poses the question: Which properties make a being worthy of moral concern? All I can tell from Agar’s discussion is that Hughes’s has a fairly broad conception of the relevant properties. For instance, he thinks that great apes, humans, posthumans and artificial intelligences will all deserve to be called persons. (Perhaps, sentience or self-awareness is the criterion). As Agar notes, Hughes thinks that quite a lot follows from this shift in moral perspective: all persons will have rights and responsibilities toward one another. In particular, posthumans will have a duty to respect the rights and autonomy normal humans, in much the same way that we now respect the rights and autonomy of the disabled. There’s so much that could be said about this proposal that it almost makes my head hurt. Fortunately, we can narrow the focus somewhat. As Agar notes, the moral rectitude of Hughes’s proposal need not concern us. What matters is whether the shift in moral perspective will actually bring about the changes he envisions. And here there is some reason to be sceptical. After all, moral ideals and laws do not change social conditions overnight. Anyone who works in the area of human rights will be painfully aware that translating ideals into realities can be a struggle. What’s more, changes can often only be sustained through constant vigilance and agitation. Cultural and social inertia has a real effect: slavery continued well after it was intellectually dismissed, and women continue to experience oppression despite significant legal and moral victories. 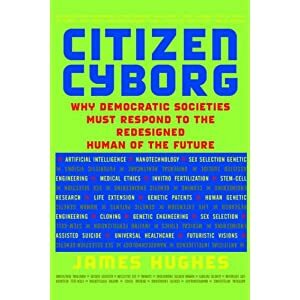 Hughes needs to show that his moral framework will guide the actual behaviour of the citizens in posthuman societies, that they won’t fall under the sway of cultural inertia. And there may be some cause for optimism on this front. Moral enhancement, in addition to physiological and cognitive enhancement, could well be part of the enhancement agenda. This might prevent posthumans from falling prey to the moral vices that have afflicted previous human societies. At this point, Agar falls back on his precautionary strategy: if there is some reason to think posthuman society would not avoid those moral vices, then this might be sufficient to warrant rejection of radical enhancement. Unsurprisingly, Agar thinks there is some reason. We’ll see why the next time out.